Thanks to Cindy Lane (@Clane) and Judy Talleur (@sjmmakerspace) for spending the day with us building with Bloxels. 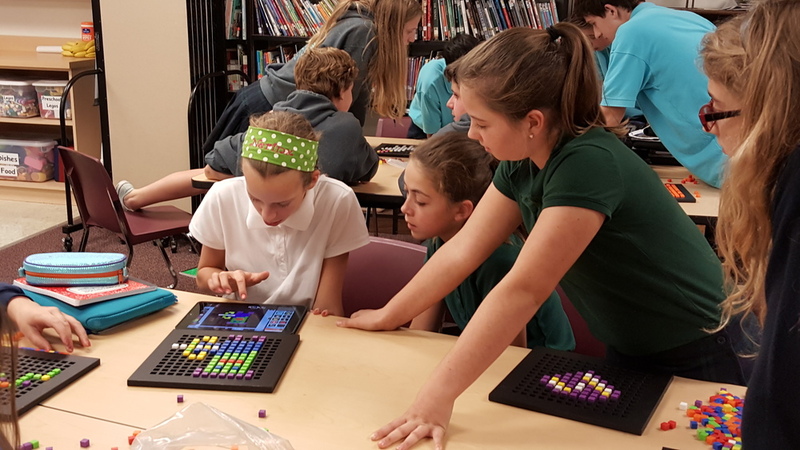 Below are 6th, 7th and 8th graders from St. Justin Martyr (@StJustinSTL) building games in the classroom. Bloxels Commercial "When Pigs Fly"